WATCH: 'Paddington 2' Interviews With Hugh Grant, Hugh Bonneville And More! This article first appeared on our sister site Coming Soon and was republished here to celebrate the release of ‘Paddington 2’ on 4K ULTRA HD, BLU-RAY, DVD & DIGITAL. The much anticipated flick Paddington 2 is coming out on 4K Ultra HD, Blu-Ray, DVD & digital on March 21st, and our friends at Coming Soon recently got a chance to chat with the cast and crew. They spoke to Hugh Grant, who plays actor Phoenix Buchanan – and speaks about how he was approached for the role with a letter saying he’d be perfect for the role of a washed up actor – Hugh Bonneville, who plays Mr. Brown, director Paul King and writer Simon Farnaby. You can check out the Paddington 2 interviews in the player below. 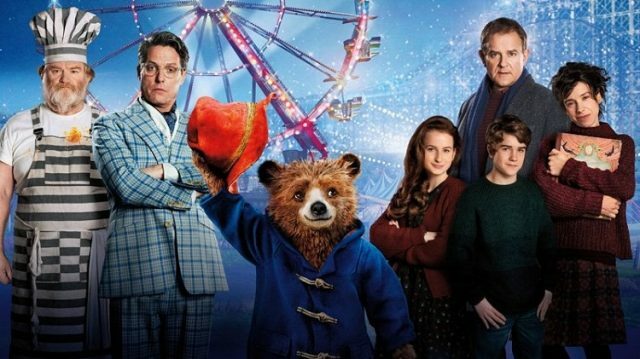 Directed by Paul King, Paddington 2 is written by King and Simon Farnaby and stars Hugh Bonneville, Sally Hawkins, Julie Walters, Jim Broadbent, Peter Capaldi, Madeleine Harris, Samuel Joslin, Hugh Grant, Brendan Gleeson, Ben Whishaw as the voice of Paddington, and Imelda Staunton as voice of Aunt Lucy. The film is co-produced by multi award-winning David Heyman (Harry Potter franchise, Gravity) and StudioCanal. Paddington is based on the best-selling and internationally adored series of children’s stories by British author Michael Bond, which have sold more than 35 million copies worldwide, been translated into over 40 languages and captured the imagination of children and adults around the globe.